Alison Wright, a New York based documentary photographer, has spent a career capturing the universal human spirit through her photographs and writing. For many of her editorial and commercial projects, Alison travels to all regions of the globe photographing endangered cultures and people while covering issues concerning the human condition. Wright was awarded the 2013 National Geographic Traveler of the year as someone who travels with a sense of passion and purpose. Wright is a recipient of the Dorothea Lange Award in Documentary Photography, a two-time winner of the Lowell Thomas Travel Journalism Award and has photographed/authored nine books. On January 2, 2000 Alison’s life was nearly cut short during a horrific bus accident on a remote jungle road in Laos. Wright’s recent memoir, “Learning to Breathe; One Woman’s Journey of Spirit and Survival,” chronicles this inspirational story of survival and years of rehabilitation, and her ongoing determination to recover and continue traveling the world as an intrepid photojournalist. This Burmese woman hired someone to bring her with her children over the Thai/Burmese border but he took her money and deserted her. 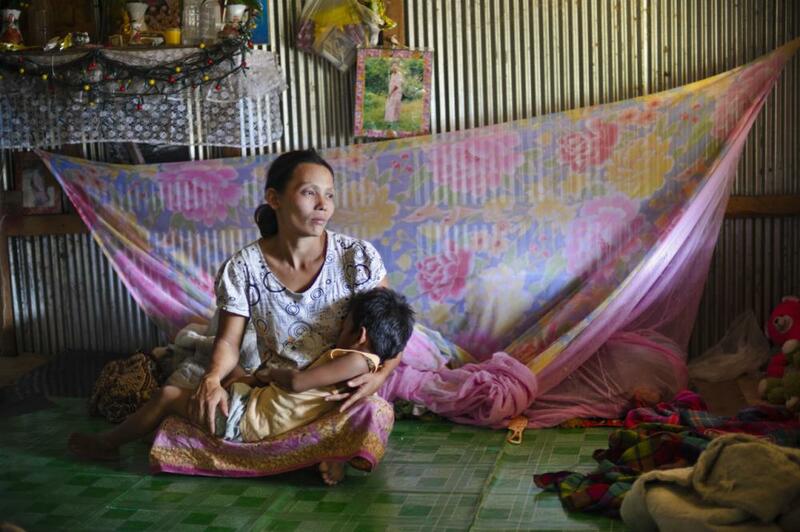 She is now raising eight children in the Burmese camp with no opportunity for them to have healthcare or education. She realizes that she has no way that she will ever make it back to her native country. It is estimated that over two million Burmese refugees live in Thailand, with a high percentage living on the popular island of Phuket. 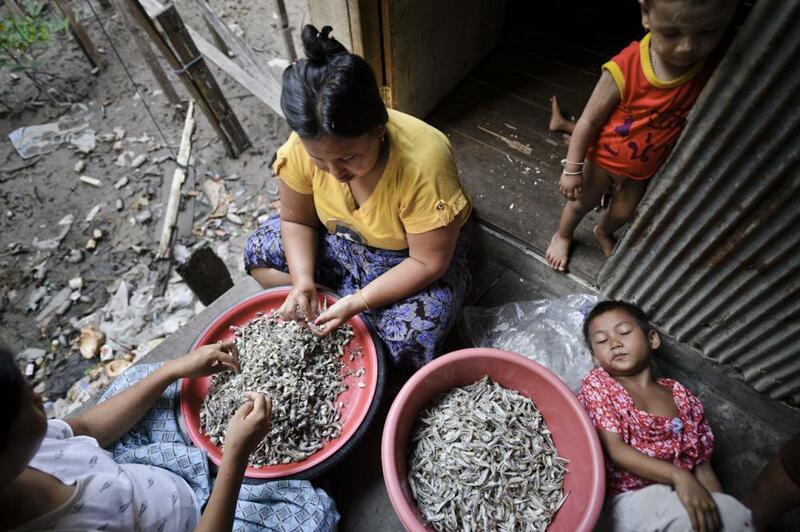 Behind the expensive hotels and beaches packed with tourists hides a large community of Burmese migrants trying to carve out a living in the fishing industry while living in the filthy slum of Rashada Pier. These Burmese have fled the oppressive militant government of their country and are illegally smuggled over the northern Thai/Burma border by Thai traffickers with the promise of a better life. Many Burmese arrive without proper documentation or have their passports and identity cards stolen and sold by the trafficker. 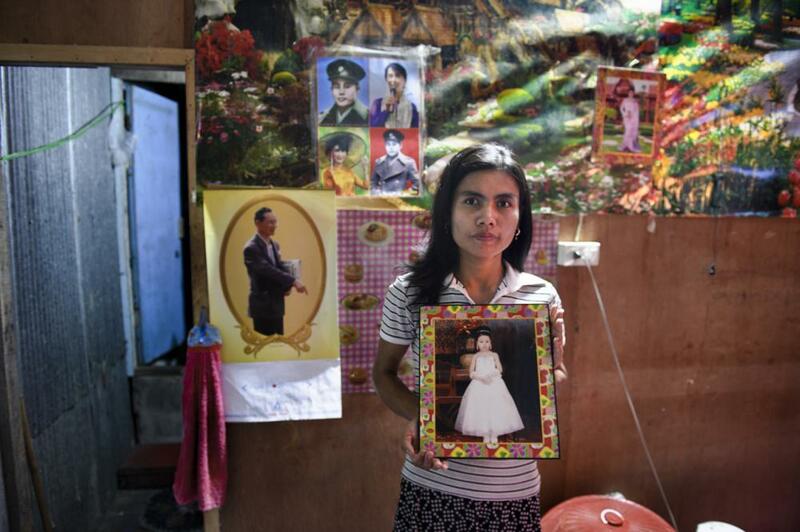 With no identification these migrants are unable to return to Burma. They are bound to their landlords and bosses and are often victims of police bribes. Because of the poor Thai/Burmese relations and loss of identity these migrants are not technically allowed refugee status. This leaves them with no rights to schooling for their children or healthcare for their families. They are forced to live in limbo without a country. 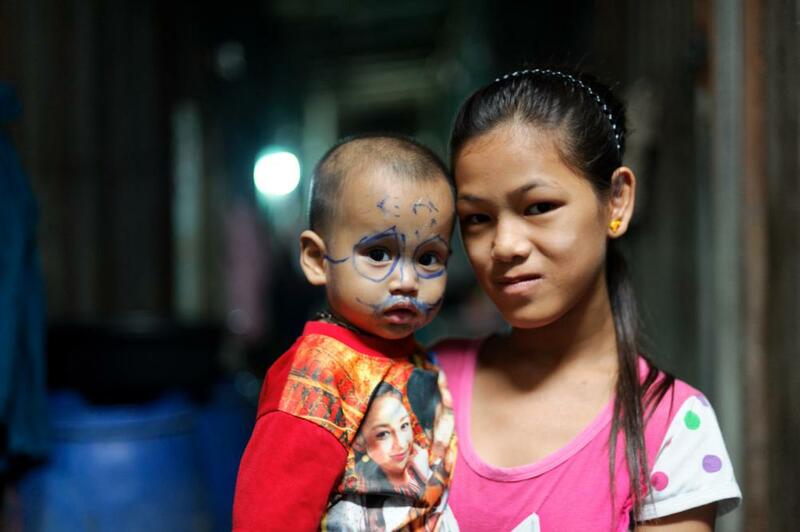 This woman saved her money and sent her five-year-old daughter back to Burma to live. She thought she would have a better life with her grandparents rather than living in a slum with no schooling. The little girl drowned in a lake five days after she arrived back in Burma. Many of the men living at Rashada Pier spend a day, a week or up to a month out at sea on precarious fishing boats, earning about $200 a month. A man kisses his grandson goodbye as he’s about to leave on a ship for a few weeks. Sanitation conditions are poor in the slums of Rashada Pier and there is no running water to drink from or bathe in. 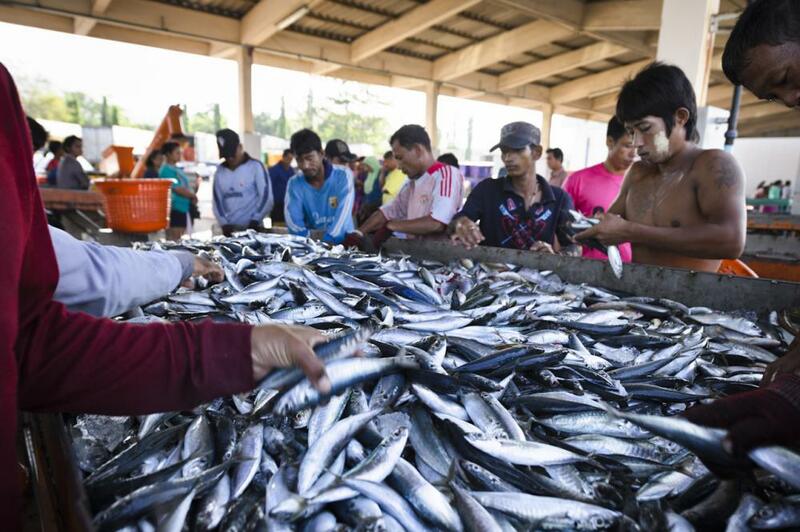 Fishing is the main source of income for the Burmese migrant workers here. 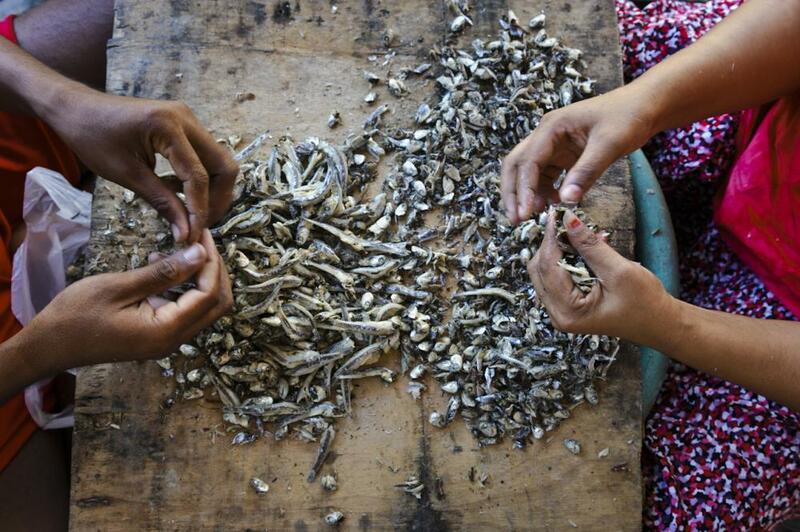 A pregnant woman and her husband peel the heads of small fish to help earn a living. One seven kilo bag will bring in about 70 THB (about $2.00 a bag). 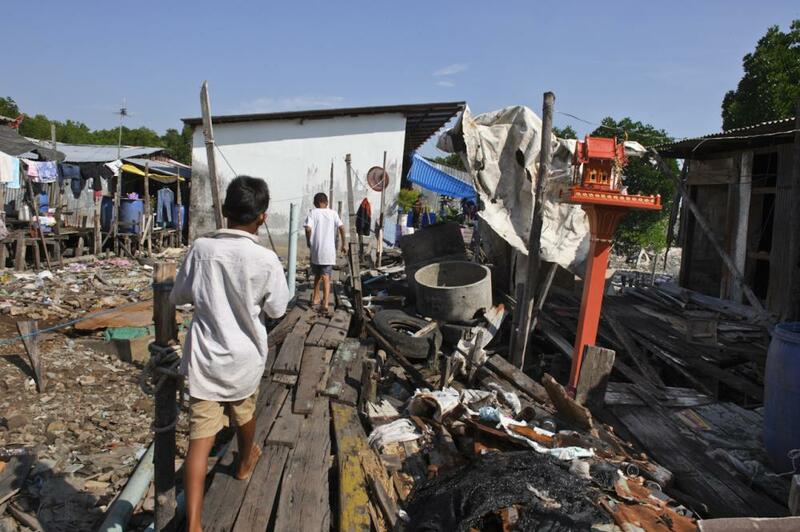 Most of the Burmese here are not allowed refugee status and live in abysmal conditions. At Rashada Pier they must pay about $150 a month to these slum owners as well as monthly bribes to the police just to live here. 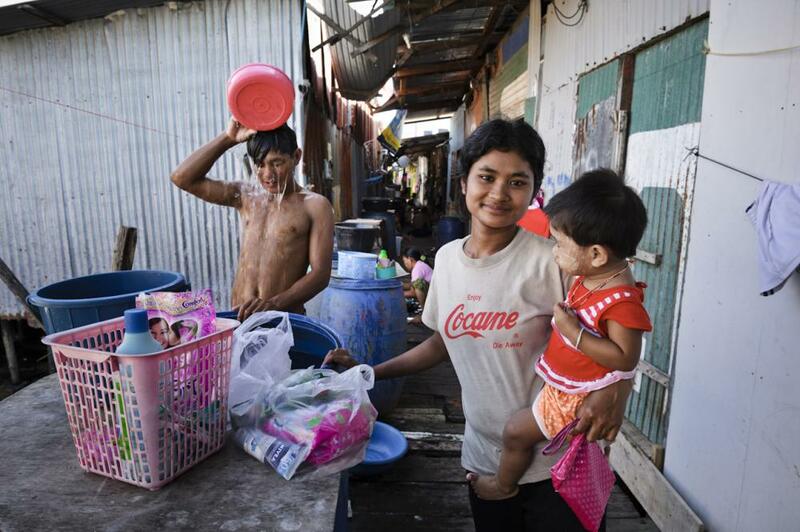 Most of the Burmese in Thailand are not allowed refugee status and live in abysmal conditions at Rashada Pier, leaving the children with limited access to schooling and healthcare. 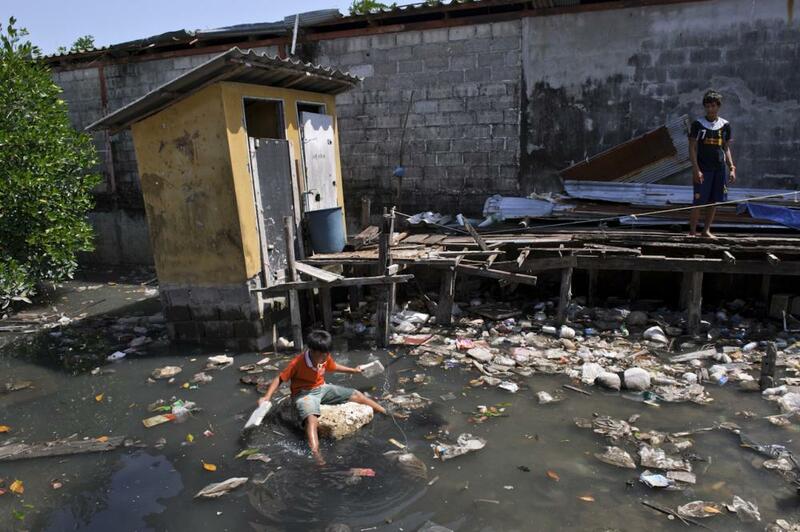 This boy is swimming, as many of the children do, in the filthy stagnant water that surrounds their home. The outhouse that is used as their toilet is in back of him. 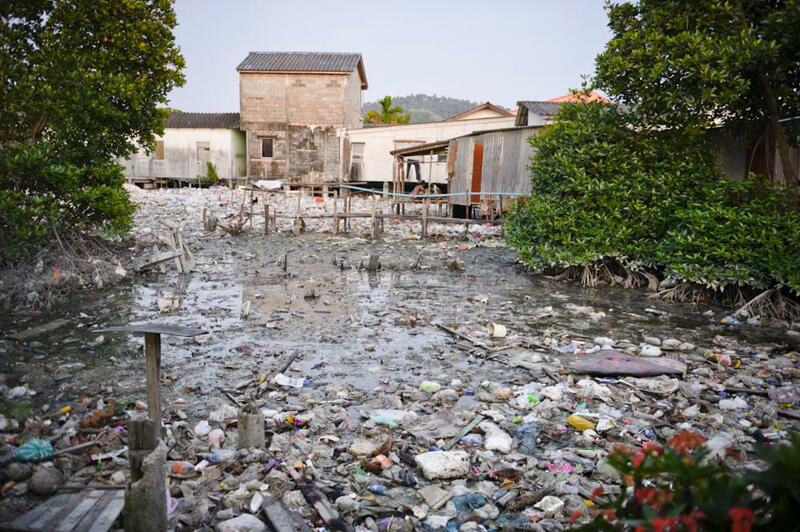 The migrant workers live surrounded by filthy stagnating water and garbage. 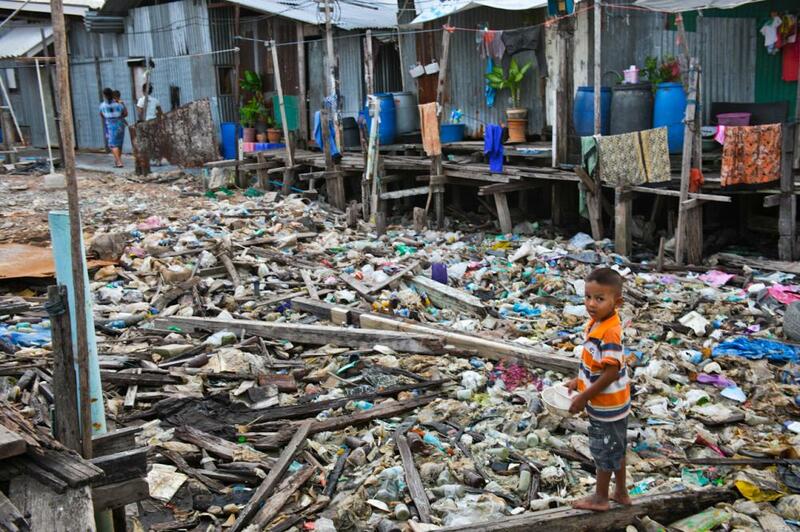 A young boy, having nowhere else to play, plays among the garbage. Peeling one seven kilo bag of small fish will bring in about 70 THB (about $2.00 a bag). While the men are out fishing on boats, the women scale and peel the fish. 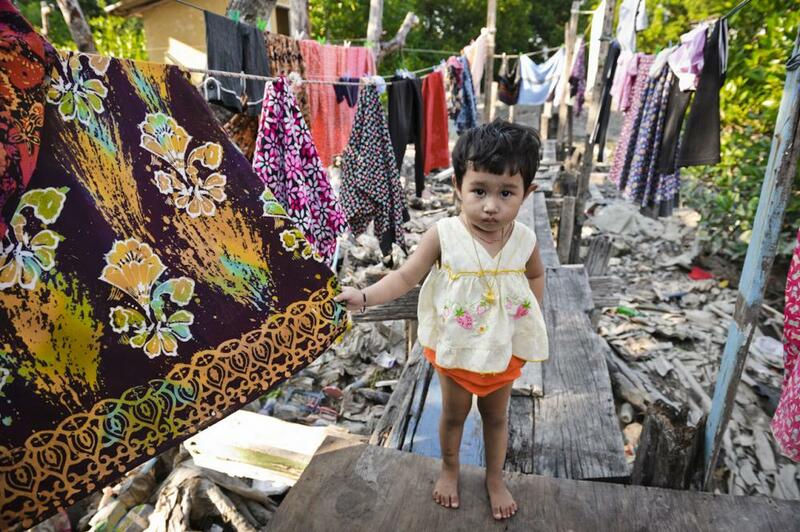 A young girls stands with clothes that are washed in stagnant water. 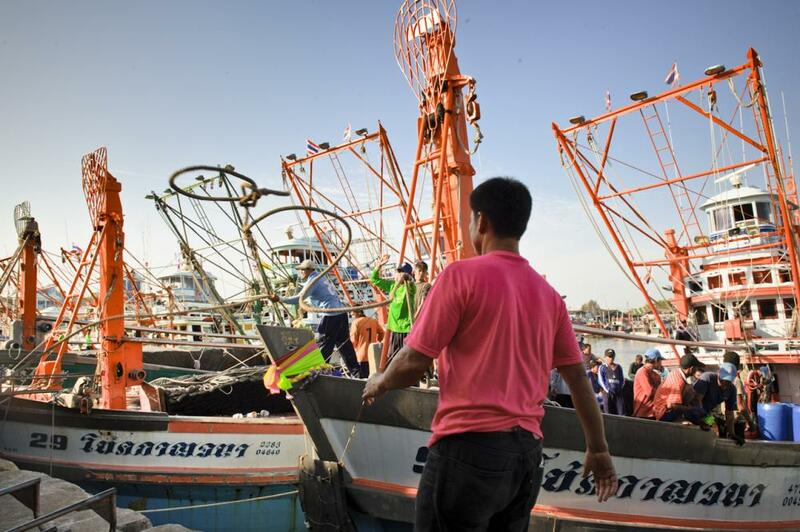 Many of the men spend a day, a week or up to a month out at sea on precarious fishing boats, earning about $200 a month. When asked how they can live in such grueling conditions for $10.00 a day, the workers replied because in Burma we'd only make $2.00 a day. 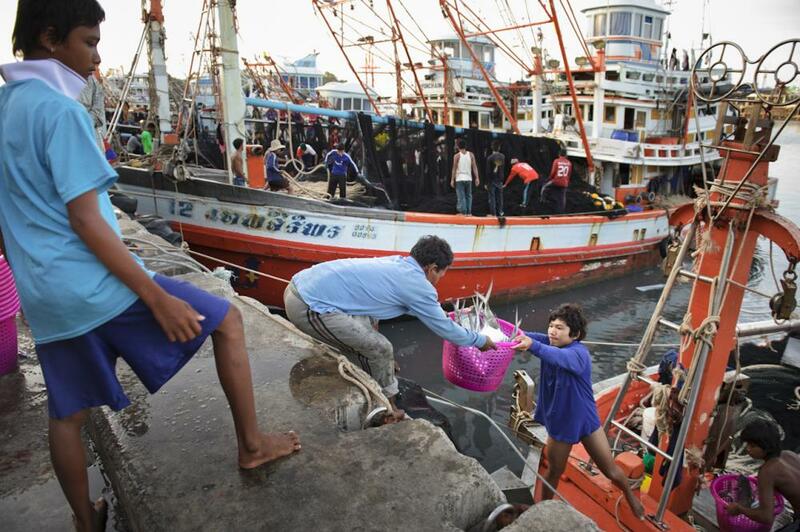 Many of the men spend a day, a week or up to a month out at sea on precarious fishing boats, earning about $200 a month. Their catch is sorted back in port in the early morning hours. 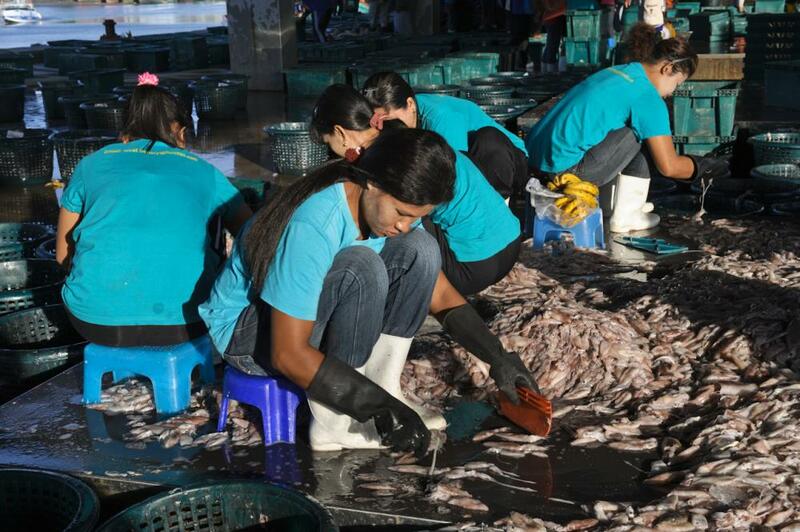 The women clean and scale the fish back in port. 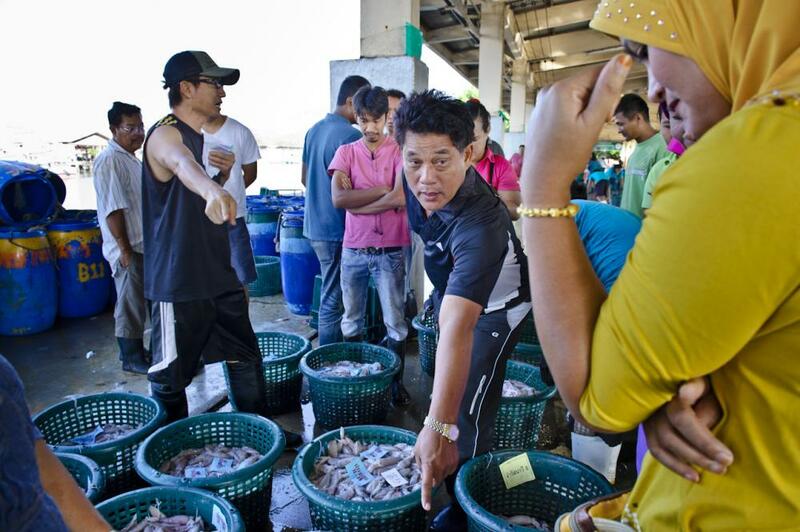 Thai buyers come to negotiate prices for the latest catch. A mother stays behind to take care of the children. 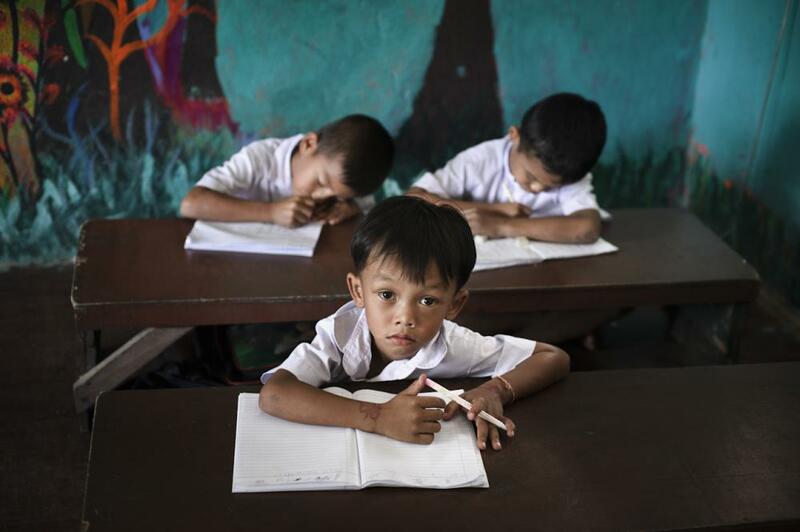 Because of the Thai/Burmese relationships these illegal Burmese have no refugee status, which gives the children no rights to attend school or health care for the families. Many of the older siblings stay home to take care of the younger children while their parents work at the port, on fishing boast or doing menial construction labor. 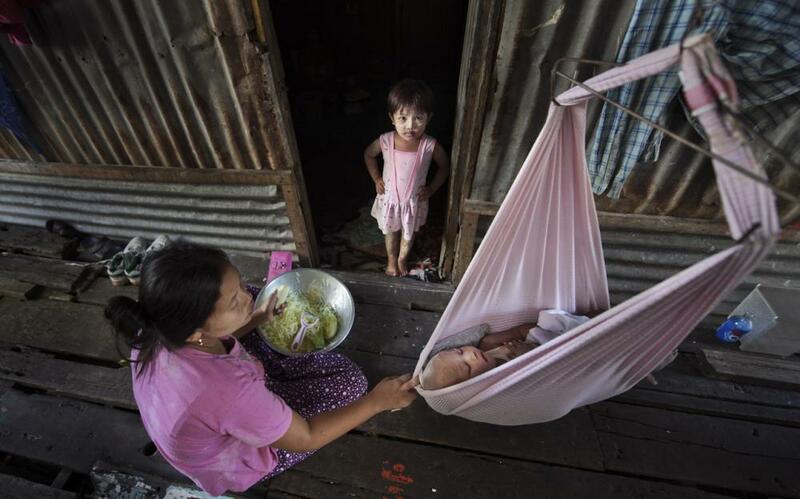 The NGO, The Good Shepherd, has set up the Home for Hope, a safe clean haven for pregnant Burmese refugee women to be housed and cared for until they give birth. The NGO, the Good Shepherd, has set up a school for the children of Burmese migrant workers in Bangjo settlement.